Are you an expert on Egyptian mythology? Do you know all of the legends and the royal line? Find out how many Egyptian trivia questions you can answer! 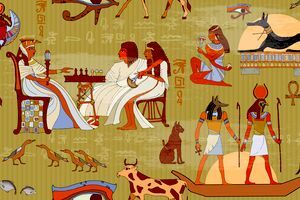 To test your knowledge of Egyptian mythology, we'll ask you questions like: Who is represented by the jackal? Who had a kite as her symbol? Who was the sun god? People know a lot about Greek and Roman mythology but how many know a lot about Egyptian Mythology? Are you an expert? Find out how much you know by taking this quiz!